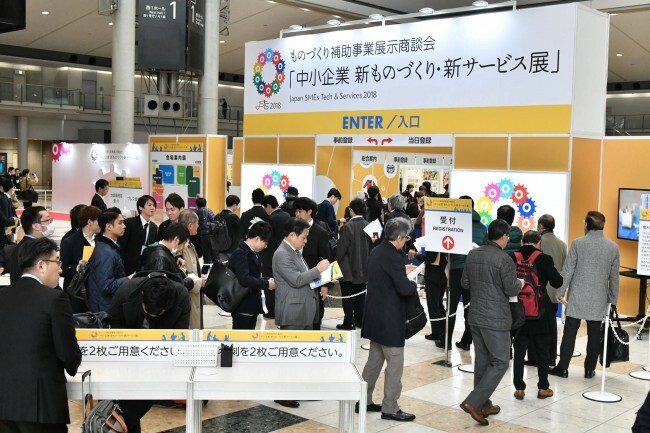 Participated in "New Manufacturing/New Services Exhibit"
2019.01.16 Participated in "New Manufacturing/New Services Exhibit"
We participated in the "New Manufacturing/New Services Exhibit", from December 11 (Tue.) through 13 (Thurs.) 2018, at Tokyo Big Sight. 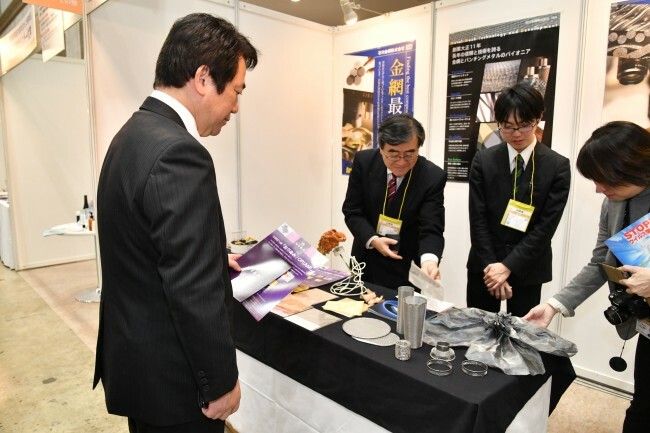 The "New Manufacturing/New Services Exhibit" is an exhibition where small businesses that used Monodukuri-Hojo to develop new products and services gather for business negotiations. The booths of over 650 companies stood side by side, making the view of the venue in its entirety an amazing sight. Countless visitors passed through, from opening day until closing. At the ISHIKAWA WIRE NETTING Co., Ltd. booth, we exhibited Industrial Wire Mesh [IK Screen] and Wire Mesh Origami [Fabric Metals ORIAMI]. 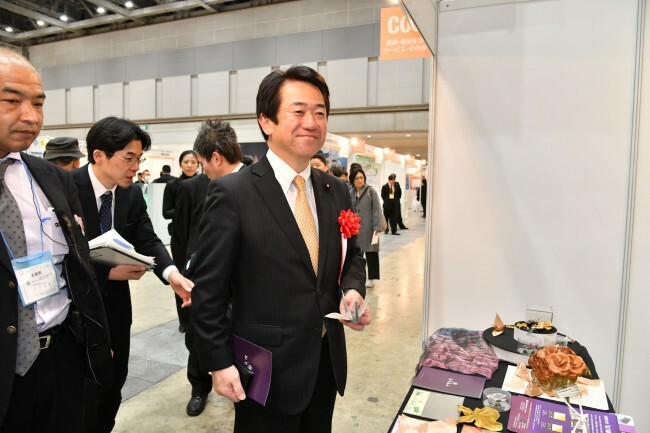 Tatsuya Ito, from the House of Representatives, also came to our booth. We had the opportunity to explain our history and products. It was his first time seeing our wire netting, and he commented, "Simply made, but heavy and profound." High praise! We offer him our thanks. We were able to share ISHIKAWA WIRE NETTING Co., Ltd. products with the public, making it a very meaningful exhibition. Copyright © 2016 ISHIKAWA WIRE NETTING Co.,Ltd.All Rights Reserved.